Everybody just keep quiet about this but GMA is planning a seventh season of StarStruck this 2018. It will present us with new talents and fresh faces to try and come into the industry with a bang. Of course, who could forget the first ever StarStruck that gave us the most talented and most notable women in entertainment for the past ten years or so? Aside from developing their talents through the years, they have also remained stunning and elegant. Most of you must be wondering after almost 15 years (wow, it's been that long), where could they possibly be now? The Ultimate Female Survivor has probably had the most success whether in film, tv, or modelling. The FHM cover girl is currently the lead actress in the GMA sci-fi series The Cure. Yasmien Kurdi is the current lead actress for one of GMA’s hottest afternoon line-up, Hindi Ko Kayang Iwan Ka. She’s had a steady career with at least one show per year to have enough time for her daughter and herself. Jade Lopez has been flying under the radar after StarStruck season one. She’s actually been doing projects, mainly TV shows, left and right for GMA. Her last show was for Impostora, an afternoon drama for the network. Sheena actually has not stopped working since her StarStruck days. She’s part of at least two shows every year, her last being Impostora. She's also quite entertaining on social media—her posts always worthy of your double-taps! Nadine, unlike her co-finalists, has not been putting herself in the limelight. The actress tries to remain out of showbiz, only doing projects here and there. The last time she was on TV was when she guested on The Lolas’ Beautiful Show. We thought Cristine Reyes disappeared after her one-time role in the show Ipaglaban Mo, where Supreme Court and Court of Appeals cases are dramatized to inform the public who may have the same experiences. 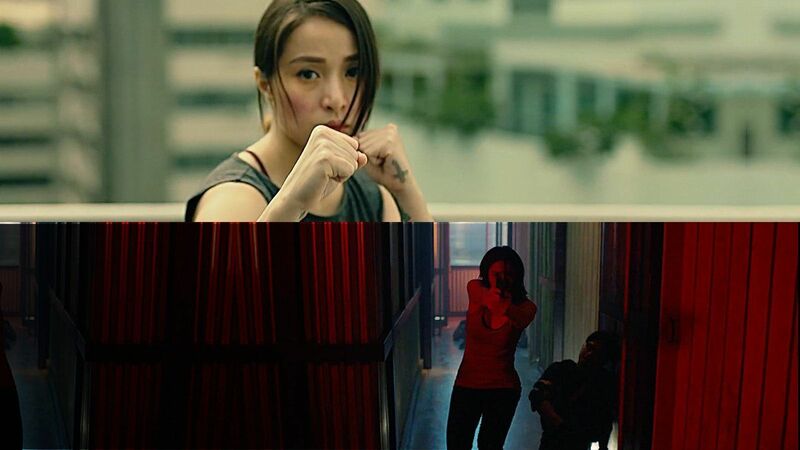 Cristine now has a movie entitled Maria, where she plays an assassin. This mom of one has been training the entire time we did not see her. We always knew you were a femme fatale, Christine! Katrina has been focusing on her roles for TV as of late, with her last film back in 2011. She is currently a lead actress alongside Megan Young in the afternoon show The Stepdaughters.